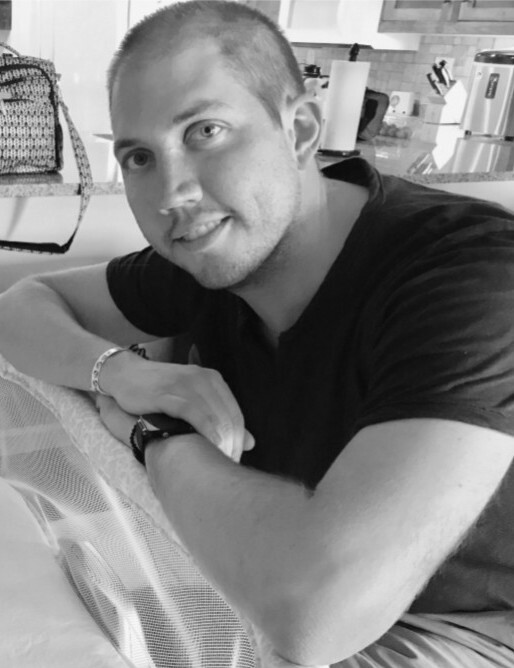 Skyler Michael Garringer passed away at his home in Albuquerque, NM, Friday, August 17, 2018. He was born in Carlsbad, New Mexico on August 24, 1982. Skyler was an excellent student, graduating with honors from Carlsbad High School in 2001. He also played in the band, took all AP classes and enjoyed going to Lake Brantley to swim and ski. He loved playing baseball, golf, video games, reading science ﬁction and building furniture. To his family he was sweet, sensitive, thoughtful and caring. To his friends he was loyal, kind and considerate - and a lot of fun. Following graduation, he attended Texas A&M University in College Station, Texas on scholarship and continued his education at CNM in Albuquerque, NM. He married Kimberlyann Speed on May 23, 2009. He was employed for over seven years at Sandia Laboratory Federal Credit Union in the IT department and was promoted to Network and Systems Administrator last year. His SLFCU fellow employees donated over160 hours of Personal Time Oﬀ for Skyler to use. He was so highly regarded by his fellow employees that they joked they were having bracelets made with the initials - WWSD - What Would Skyler Do. After being diagnosed with brain cancer in 2012 he made a list of goals he wanted to achieve during his lifetime and that included having a good marriage, children, a good job and providing a nice home for his family. He worked hard and met those goals before his death. He is survived by his wife Kimberlyann Renee (Speed) and their fourteen month old son Everett Skyler, both of Albuquerque, NM; his parents, Michael and Deanna (Hulse) Garringer of Carlsbad, NM; sister, Brittany Garringer of Fort Worth, TX; grandparents: Don and Mackie Garringer and Juanelle Hulse all of Carlsbad, NM; in-laws, Ron and Chris Speed and daughter, Rachel of Rosamond, CA and Greg and Connie Coy of Savannah, GA; brother-in-law, Keith Coy of Fort Wayne, Indiana and several beloved aunts, uncles and cousins. He was preceded in death by his maternal grandfather Jim B. Hulse in 2012. In lieu of ﬂowers the family request contributions be made to the Skyler M. Garringer Memorial Fund at the Carlsbad Community Foundation, 114 S. Canyon Street, Carlsbad, NM 88220 or by visiting their website at www.carlsbadfoundation.org.